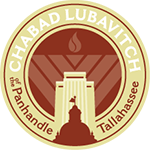 Rabbi Mendel and Nechama Danow are looking forward to establishing a Chabad house in Pensacola, to serve the Jewish population in the area and its surrounding towns. Pensacola is home to two universities where Jewish students attend. Rabbi and Mrs. Danow will also be catering to their needs. To partner with Chabad of Pensacola please donate below.